If one of your New Year’s resolutions is to organize your closet or home office, then you must attend Marie Kondo’s lecture at the Japanese American Association of New York. Her book, The Life-changing Magic of Tidying Up: The Japanese Art of Decluttering and Organizing, is a best-seller in Japan and has recently been translated into English. The author, who was featured in The New York Times, will present a 45-minute talk in Japanese, interpreted into English, on her unique philosophy of home organization as a way of life, providing practical tips for everyday use. 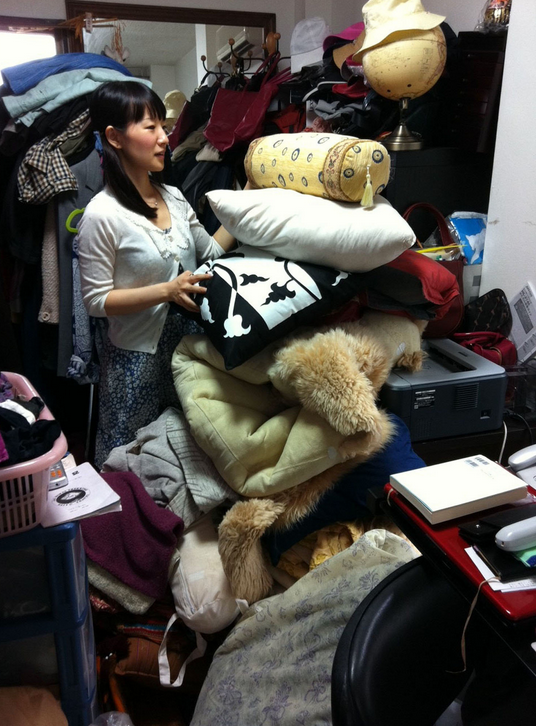 Kondo is a renowned expert in lifestyle cleaning, with high-profile clients in Japan and a TV show based on her. Much like the difference between what you eat for sustenance versus food which actually nourishes the body, Kondo differentiates between the occasional discarding of useless items in the home versus the life-long practice of keeping only items which “spark joy” in your life. Following this discipline, she believes, ensures good health and clarity of mind. The lecture will be followed by a Q&A session and book signing, and light refreshments will be served. This event is supported by NY sukusukukai, Japanese American Association of New York, Inc. and Japanese Medical Support Network. All admission fees will benefit the social service programs of JAA. To attend, RSVP to yamamama@nyc.rr.com. Please register all participants’ full names. As space is limited, please RSVP by January 28.